Our renovation plan will help us safeguard precious works through significant improvements in our heating and cooling systems, art storage, and conservation space. This will help us preserve our treasured collection so that it may be enjoyed for generations to come. A modest addition will create a new gallery and more space for our community to gather around art and culture, enjoy public programs, and host events. It will also improve circulation to the meeting rooms, education spaces, library, and auditorium. The expansion will include doors in the Fuller Garden Court that lead to a brilliant new glass addition, providing views to Volunteer Park, a welcoming green space in our increasingly dense city, and one of Seattle’s favorite Olmsted Parks. New doors in the art-filled Fuller Garden Court will open onto a glass lobby with beautiful Volunteer Park views beyond. 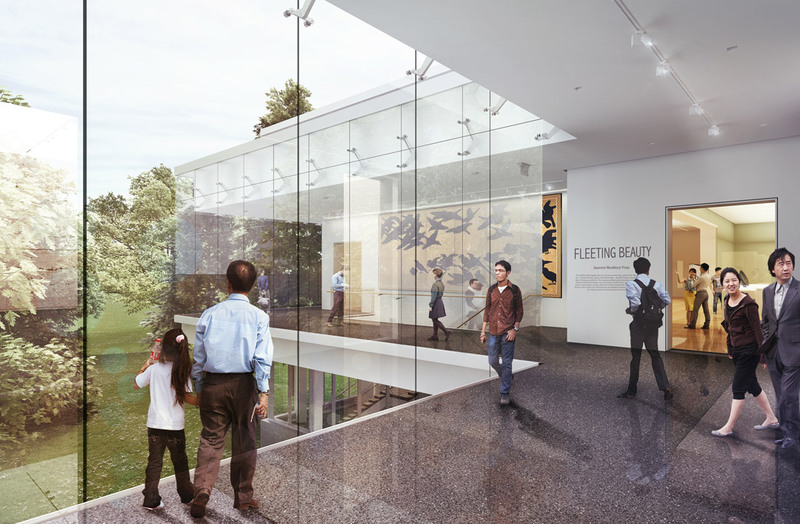 A glass lobby will improve circulation throughout the building and provide a visual link between the creative beauty of our collection and the natural beauty of the park. A 2,000-square-foot art gallery will allow us to exhibit ever-broader perspectives on Asian culture and show more of our world-renowned collection of Japanese, Chinese, and Korean works—including art from our expanding South Asian collection. Environmental controls, a new conservation lab, and a freight elevator will ensure that every piece of art that passes through our doors will receive the expert care it deserves. A new education space will enable more hands-on experiences during school tours and family workshops. 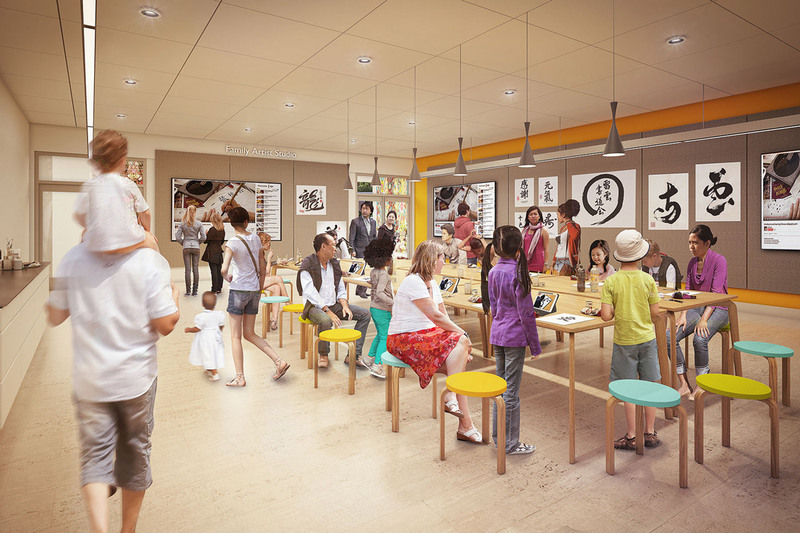 Improved event spaces will allow for more community activities like Family Fun Workshops, Free First Saturday, and the popular programming offered by the Gardner Center for Asian Art and Ideas. This new space will allow us to host programs designed to help our community develop a deeper understanding of Asia, one of the most significant cultural and economic regions of the world. By adding only 3,290 square feet to the building’s footprint in Volunteer Park, the museum gains 13,900 square feet of essential interior space while opening the building up to the park. In addition to a restored façade and aesthetic improvements to the back of the building, the project will also restore historic Olmstedian pathways, better connecting elements within the park. 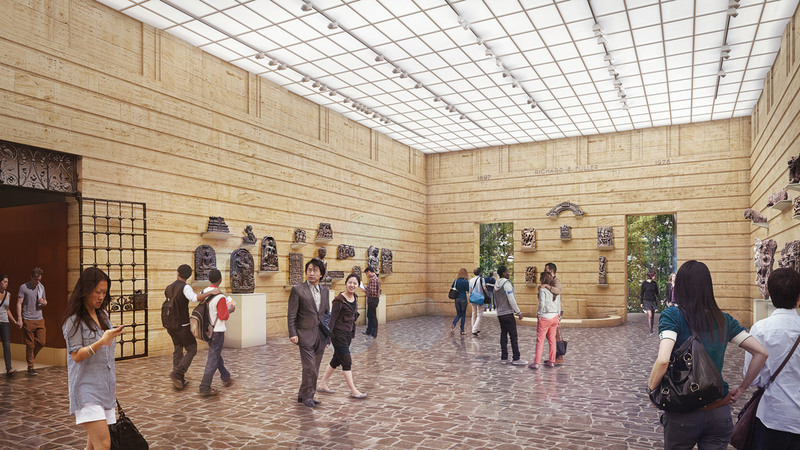 Why does the Asian Art Museum need to renovate and expand? The landmark, City-owned building is on the National Register of Historic Places and is the original home of the Seattle Art Museum. It has not been substantially renovated or restored since it was built in 1933. A major renovation is needed to address infrastructure issues, including climate control system and seismic upgrades, and to increase ADA accessibility to the museum. After careful evaluation of what the Asian Art Museum required to remain viable in Volunteer Park, it was determined that a modest expansion was also necessary. The proposed expansion will offset a loss of space in the existing building created by the addition of new mechanical equipment for heating and cooling systems, as well as address the critical need for new programming and gallery space. The entire project will increase access to a world-class cultural resource and allow the museum to better serve the needs of the people of Seattle. It will also greatly enhance Volunteer Park and the underutilized area directly east of the museum. What is the project’s benefit for the community? 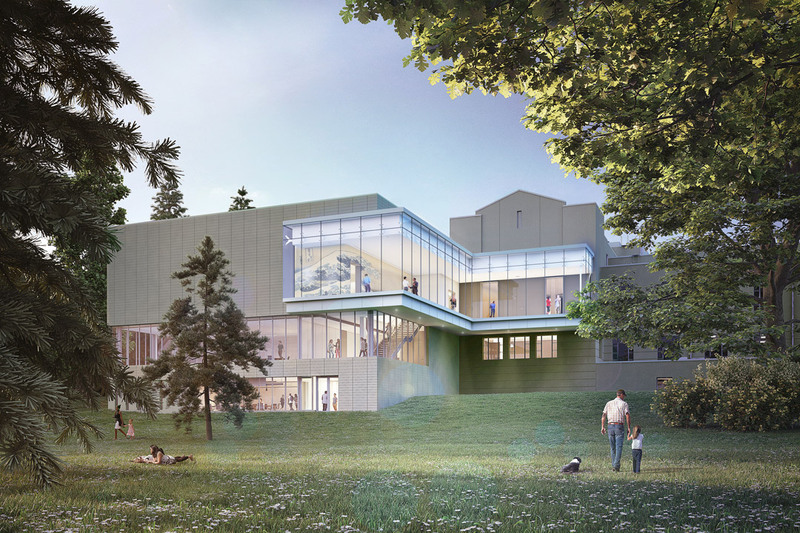 The renovation and expansion will strengthen the museum’s ability to serve as a community resource—a gathering place to be used by all—and a cultural focal point for Volunteer Park, Capitol Hill, and the entire city. 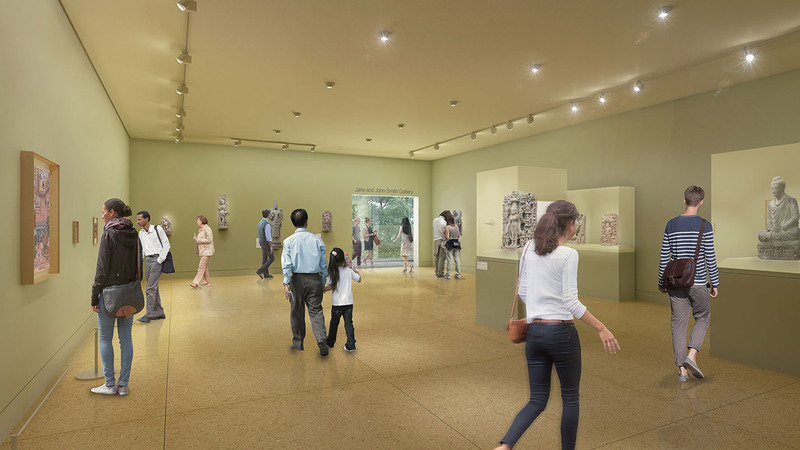 New gallery space will enable the museum to more regularly showcase art from all of Asia—not only its original collection featuring works from China, Japan, and Korea, but also its growing South Asian collection. Education is a major part of the museum’s mission, and addressing the needs of thousands of K–12 students in the area through special programming and learning opportunities is a high priority. The expansion will enable the addition of a dedicated space for educational activities. We also believe the museum’s expansion will help increase racial equity and cultural diversity by enhancing the museum’s ability to celebrate and raise awareness of the cultures of Asia, including those representative of a fast-growing South Asian community in the region. The updated museum will be a better reflection of the diverse community it serves. The renovation and expansion goals include preserving the historic building and its Art Deco façade, improving the museum’s infrastructure, protecting the collection with climate control and seismic system upgrades, adding vital gallery and education space with a modest expansion, and enhancing ADA accessibility and the museum’s connection to Volunteer Park. What was the design process for the project? The current design is the product of years of research, discussion, and meetings with the museum’s board of trustees, executives, curators, museum members, architects, project partners, the City, parks groups, and the community. The design process began with our museum board and staff, determining critical museum needs and defining project goals. When we felt confident that we had something substantial and well researched to show for consideration, SAM hosted the project’s first community feedback meeting on July 16, 2016, with subsequent meetings in 2016 on August 20, September 10, October 15, November 19, and December 10. Community feedback and input from Seattle Parks and Recreation, the City’s Landmarks Preservation Board, as well as other stakeholders, is reflected in the current design. The Landmarks Preservation Board approved the design in August 2017. How will the project affect Volunteer Park? The museum expansion is modest, increasing its footprint in Volunteer Park by roughly 3,600 square feet—less than one quarter of 1 percent of the park’s 48-acre total area. One may recall that SAM’s Olympic Sculpture Park transformed an industrial site into a beautiful nine-acre green space for all to enjoy. We value green space and the decision to explore a small museum footprint increase in Volunteer Park was not made lightly. Steps were taken during the design process to protect the park’s significant trees, in addition to aesthetically improving an unsightly east-facing exterior. The museum is working closely with landscape architects Walker Macy, contractor BNBuilders, and local consulting arborist, Tree Solutions Inc., to implement a plan to ensure the health and safety of all significant trees near the museum. The museum is giving back and restoring historic Olmstedian paths as part of the Asian Art Museum project. In consultation with Seattle Parks and Recreation and local parks groups (Volunteer Park Trust and Friends of Seattle’s Olmsted Parks), we decided it would be advantageous to restore the Olmstedian paths stretching east from the museum. These paths will better connect the elements within the park, including the museum, and facilitate access to the park from its perimeter. We believe that the Asian Art Museum improvements will enhance visitors’ enjoyment of Volunteer Park. How was the design altered in response to public feedback? Design revisions were made in response to public feedback received during community meetings to discuss the Asian Art Museum renovation project. Examples of how the design was changed include, minimizing the physical profile of the proposed addition; repositioning a staircase to make it less visible from the outside; moving the freight elevator to reduce its profile and maintain clear sight lines on the north side of the building; and removing proposed landscape terracing and seating in favor of an Olmstedian lawn/greensward, echoing the park’s original plan. Why can’t the expansion be below the building? It is not possible to expand below the building because excavating under the building’s foundations would put the historic structure at risk. Other concerns include the difficulty of waterproofing an excavated space from one side and the fact that the lower ceiling height of the existing first level of the museum would not satisfactorily accommodate the needs of gallery, education, or public spaces. Can the Asian Art Museum expand elsewhere? It would be difficult for the Asian Art Museum to expand elsewhere. 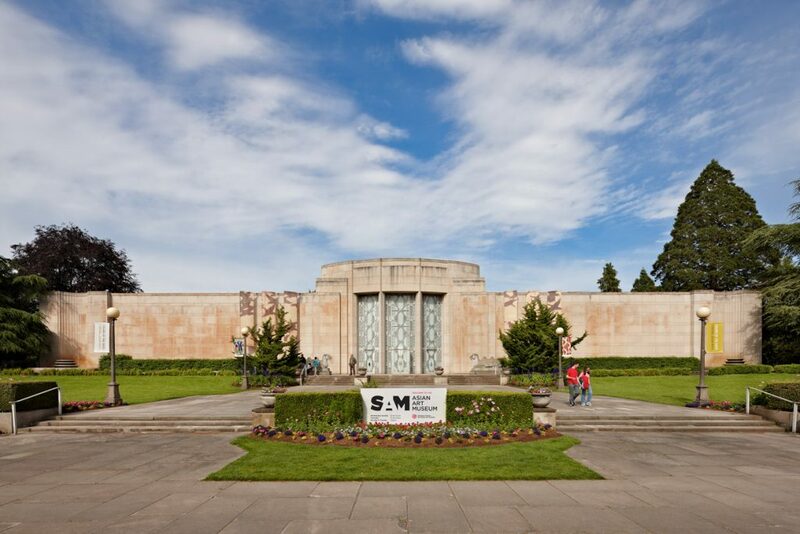 It is not economically feasible to add an additional location to SAM’s existing three locations, and also the museum is a historic and vital part of Volunteer Park. To move completely or divide the museum’s collection and offerings would be a disservice to the community. SAM does own several additional floors in its downtown expansion building. This space is leased until 2031 and is not available. The current lease payments repay debt incurred when the building was constructed in 2007. The design was approved by the Landmarks Preservation Board in August 2017. Land use and building permits have been submitted and are currently under review by the City. A development agreement and long-term lease are in negotiations with the Seattle Parks and Recreation. The museum closed its doors on Monday, February 27, 2017 to begin making preparations for the renovation and expansion. Construction is planned to begin in 2018 (pending final City approval and permitting) and will last approximately one year, followed by an additional six months needed for moving the art back into the building. The museum will reopen in 2019. How much will the project cost and how is it being funded? The estimated cost of the renovation and expansion is about $54 million (subject to change based on the final renovation plans). The City of Seattle and King County have already committed funds to the project, but SAM expects to raise a significant share of the funds privately. A museum capital campaign is underway. If you would like to donate to the campaign, please do so here. City funding for the project was initially included in the voter-approved 2008 Parks & Green Spaces Levy. The project was delayed, and the levy funds were reprogrammed for other purposes. Honoring the original partnership between the City and SAM on this project while recognizing that the needs and scope of the project have changed in the past decade, Mayor Ed Murray allocated funds for the project in his 2017/2018 budget, approved by the City Council. The Asian Art Museum is not significantly subsidized by the City. The museum building was donated by the Seattle Art Museum to the City in 1933. While the City does contribute some funds for building utilities and upkeep, the significant costs associated with running the Asian Art Museum are covered by SAM. Consider expressing your support by writing to the Seattle City Council at council@seattle.gov. If you are excited about the project, we’d love to hear from you via our feedback form below.